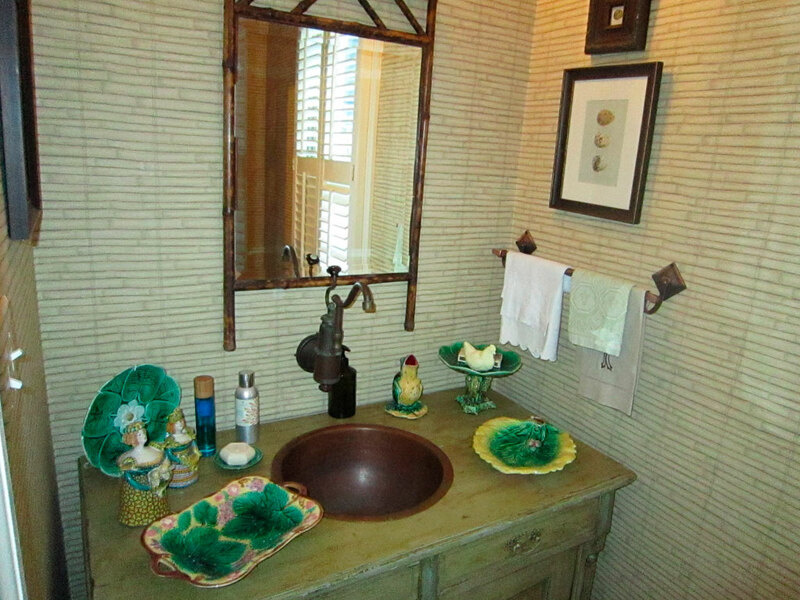 his Majolica filled powder room is a beautiful little jewel box of design. 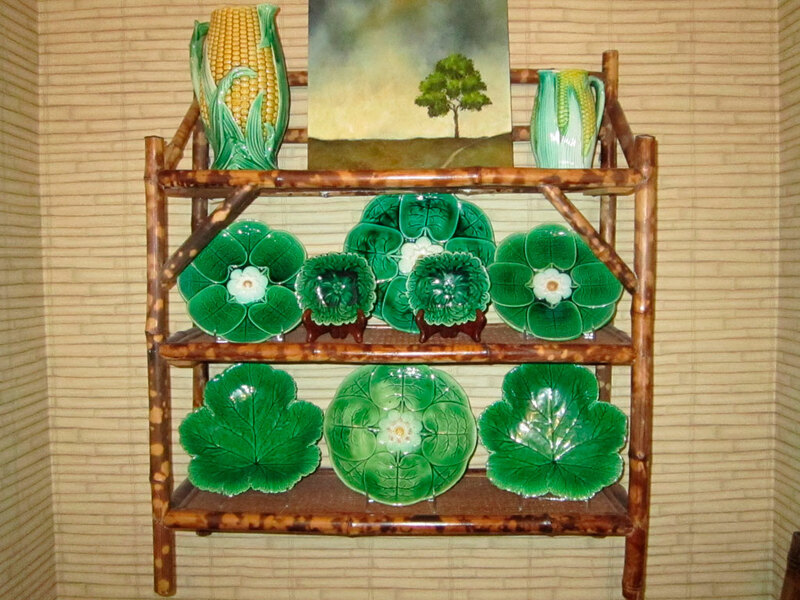 The Osbourne & Little bamboo wallpaper is the perfect backdrop for the luster of the green Majolica displayed on the antique bamboo shelf. Bamboo is used again in the English mirror hung over the cooper sink and wall mounted faucet by Herbaut of Lille, France. I love the French frog pitcher and the footed server used to hold ‘hen’ soap—they just bring a smile to my face. This charming Majolica and Bamboo powder room was designed by the very talented Elspeth Willcoxon of Willcoxon Interior Design. Enjoy! 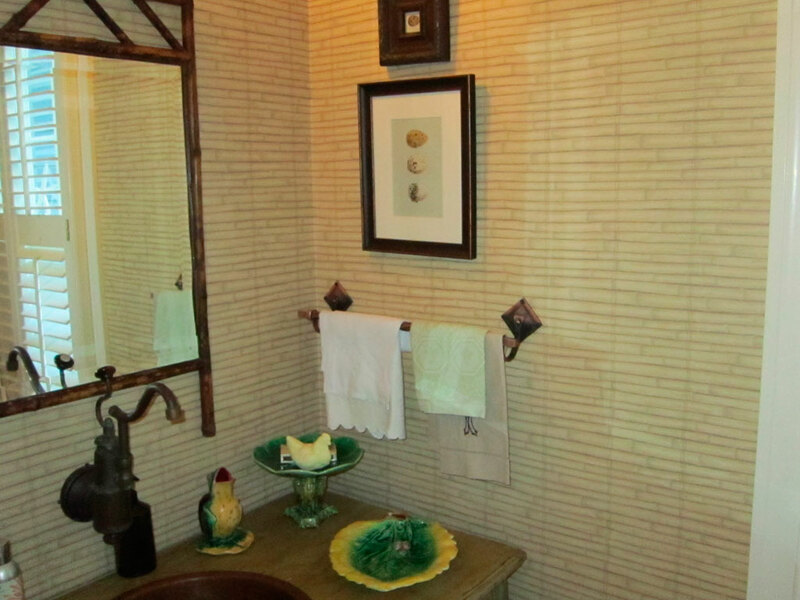 all that majolica. . .in a bathroom! !